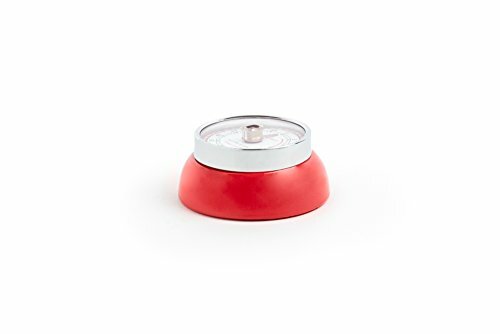 I went looking for a kitchen timer to use for working and cooking. I was amazed at how many timers are out there. Here's a few of my favorites. I often use a timer when I'm working on the computer. When I get absorbed in what I am doing, I forget to get up and stretch. I've used online timers, but sometimes they get shut off when I don't realize it. I thought it was time to get a real timer that wouldn't depend on my internet connection. When I went looking for a simple timer to use for working and for cooking, I discovered that it wasn't going to be an easy task. There are mechanical timers, digital timers, plug-in timers, outdoor timers, indoor timers, lamp timers, Christmas lights timers, egg timers, weekly timers, programmable timers, and retro timers, among others. I was delighted with some of the old fashioned timers, even though they weren't what I was looking for. This is probably my all-time favorite timer. It comes on a cord so you can wear it around your neck. I used to carry a timer with me when I was dyeing wool so I wouldn't forget and leave it for too long. I could wander out to the garden and do a little weeding or into another part of the house and do a little tidying up and still be reminded when things needed to come out of the oven. I don't really need one on a string now but if I did, this is the one I would get. It comes with a 36 inch strap and has clock, timer and stopwatch functions. It measures up to 10 hours. It has a magnetic mount although one user complained that it wasn't strong enough to keep it mounted horizontally. It would slide down so you have to tilt your head sideways to read it. I wouldn't let that bother me though. If I wanted a magnetic one, there are plenty more to choose from. This little guy is guaranteed to cheer up any kitchen. It only goes up to one hour but you can reset it if you need a longer time setting. It has a pretty long ring and loud enough to be heard in another room. It really isn't a bad little timer for the price. It comes in yellow. No surprise there. and measures approximately 2.8 inches in diameter. Here's one for all the cow lovers out there. When the time is up, it moos. I've known several people who collected cow things and this would have been the perfect gift. It has some great reviews The same company also carries a yellow "rubber" ducky and a ladybug timer. I love the old fashioned look of a wind up alarm clock. I actually used to have some clocks that looked just like this. I did read that some people complained that it wasn't loud enough and others complained that it was too loud. Apparently, like most manual timers, you do need to turn the dial all the way to 60 and then back to where you want it. Otherwise the buzzer might not work properly. Although it has rather mixed reviews, it is cute and not expensive. This is the timer I really might buy, only because my stove and range hood are red and my camper certainly is Retro! I like the magnet feature too since I have absolutely no counter space. One word of caution though, several people said theirs quit working. Those who returned it got a replacement that worked fine. 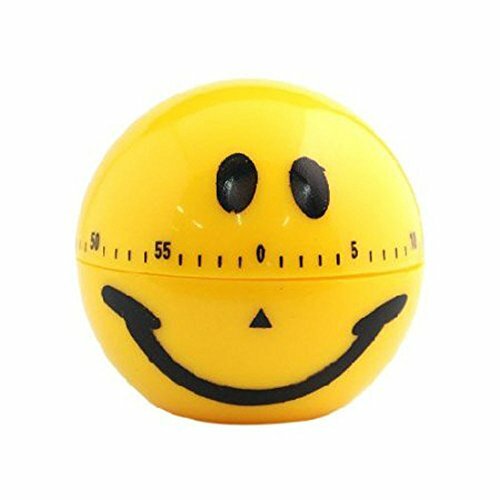 Those who didn't have a problem loved this little timer. 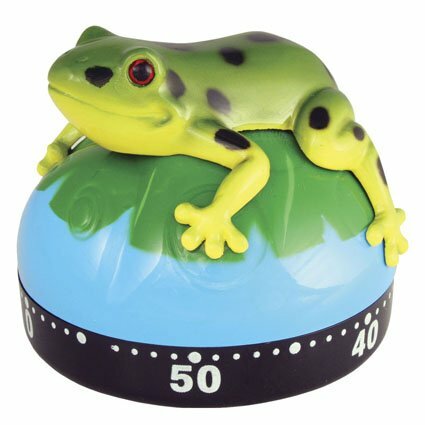 Even if you already have your Prince Charming, you can't deny that this froggy timer is adorable. He has a 5-star rating and the reviewers love him. He gives off a loud signal that you can't fail to miss when time is up. He can be used for cooking,time-out, teeth-brushing and scheduling stretch times when on the computer. 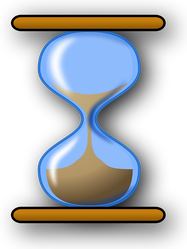 I love the way sand timers look although I would need one that runs for an hour. Unfortunately, I think the largest one you can get now is 15 minutes and they don't have any bells or buzzers. I've had several of these 3-minute timers and they are great for what they do - no parts to malfunction. Not only will they keep track of your cooking eggs, they can also be used for monitoring phone conversations that you don't want to go on forever. Some reviewers said theirs weren't quite accurate so it might be wise to time it before using it. It comes with a natural wood base and glass funnel. It comes boxed and measures1.5 inches long by 3.75 inches wide by 6 inches tall. I had to include this one since I used to have one. 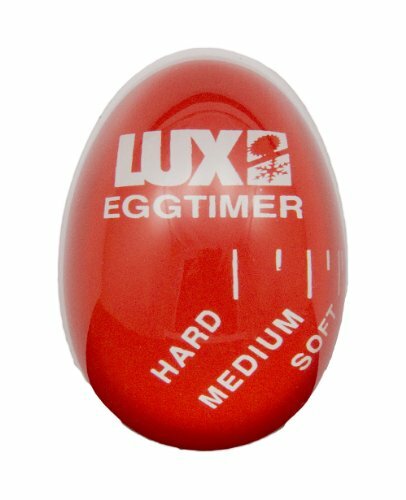 It's a strange little timer that actually goes in the pot with water and your eggs. It can only do soft, medium or hard cooked eggs but it really works. It is rather limited and not what I was looking for but thought you might need one. There are plenty of interesting timers out there. 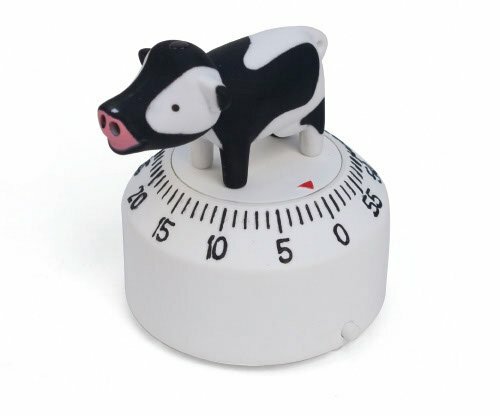 You can find timers that look like ice cream cones, hamburgers, strawberries, chickens, mushrooms and ladybugs. You can get high tech timers and low tech timers. There are more timers than you can shake a stick at. These are just a sampling of ones I liked. Some brought back memories and some I found amusing. There is a timer for everyone. It's a good idea. I try to get up for 15 minutes every hour. I get more done than sitting glued to the chair. Thanks for listing such a variety of times. 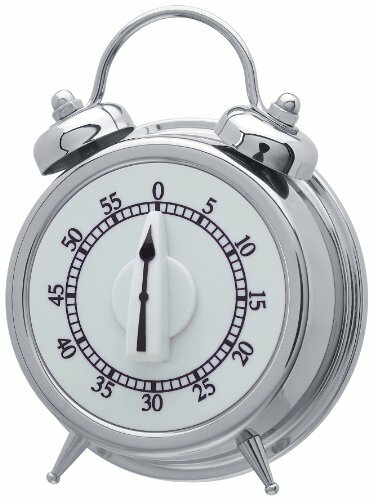 I get "lost" on the computer when I write, and was thinking maybe I should choose an amount of time and set it with a timer! Thank you! I seem to be more productive when I have a timer set. Otherwise I slip into surfing and checking FB every 30 seconds and not getting work done. This way, I'm more focused. And love some of the silly timers! I could use more than one! ha. Can't have too many timers!